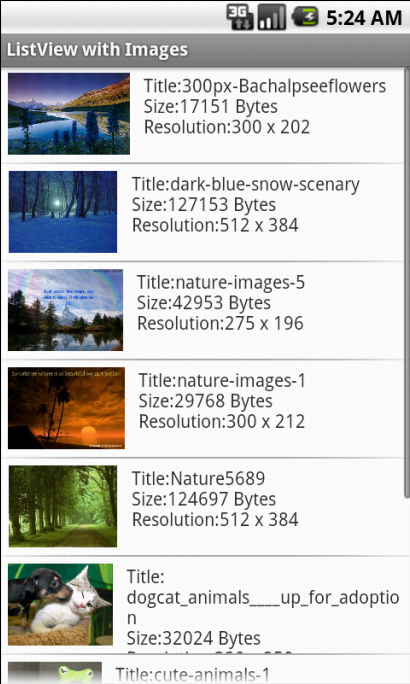 In this article we will create an Android application to display the thumbnails of SDCard images in a listview. The details of the images such as title, size, width and height are also be displayed in the listview. The thumbnails of the images can be retrieved using the content provider android.provider.MediaStore.Images.Thumbnails. 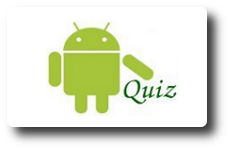 The details of the images can be retrieved using the content provider android.provider.MediaStore.Images.Media. We are using a loader identified by the unique id THUMBNAIL_LOADER_ID to load thumbnail images to the cursor variable mThumbCursor. We are using a loader identified by the unique id IMAGE_LOADER_ID to load thumbnail images to the cursor mImageCursor. The cursors mThumbCursor and mImageCursor will be merged to a MatrixCursor variable mMatrixCursor. This MatrixCursor will be set to listview as its adapter to display the images and its details in the listview. 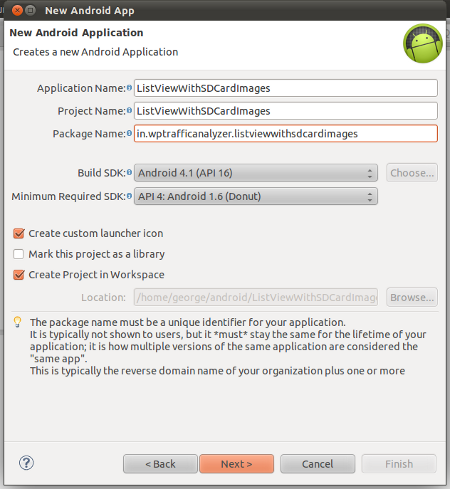 This application is developed in Eclipse ( 4.2.0 ) with ADT plugin ( 20.0.3 ) and Android SDK ( R20.0.3 ). 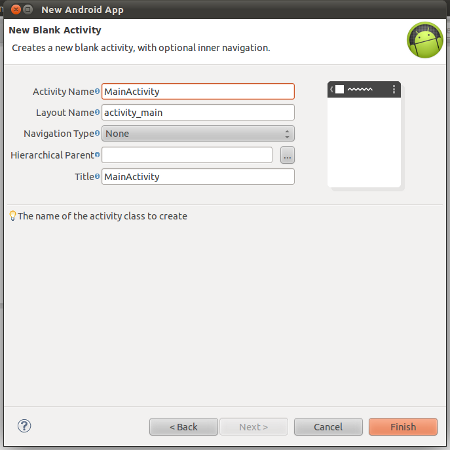 Loaders are introduced in Android API level 11 ( Honeycomb ) but can be used in pre Honeycomb versions using Android’s support library. Since this application will run in API level 4 and above, we need to add Android Support library to this project to use Loaders in our application. Thank you George Mathew, for posting the code here. 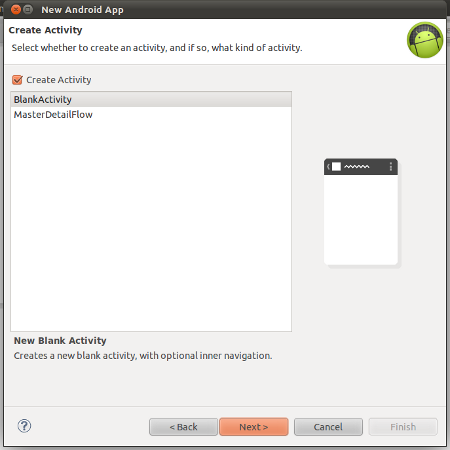 But, when I run this application, I am getting blank activity. Why? and set click event on it? Thank you for this tutorial. What is getSupportLoaderManager() ? what is the maximum size of image we can show in listview through this code?